Obviously for some, the skills, resources and experience of any professional are worth paying for. However some people quite simply prefer to do things themselves. To use a simple comparison, why would someone paint a bedroom rather than pay for a decorator? Because they can and because it saves money. And just like when you do something yourself along with the cost saving, there is quite a sense of achievement. So if you can sell your home and save money then why not? Historically sellers have been held back because without an estate agent it has been difficult to get your home in front of potential buyers. However we now have a truly liberating tool at our disposal – the internet. It empowers, educates and entertains us. It also connect us; with family and friends or, in the terms of house sales, millions of potential buyers. It is also possible to present your property in a highly professional manner. Neither do you need estate agents to act as an intermediary. You can sell your house on your terms. This can save confusion, time and quite obviously money. Clearly a big factor in deciding to sell your home privately is that you want to save money on commission fees. Estate agent commissions range from 1.5% to 3%, which if you’re talking about, even say, a £250,000 house, it is not chicken feed. 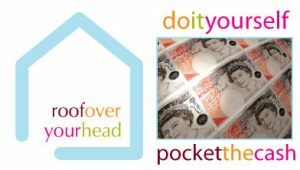 At roofoveryourhead there is no commission charge to us, estate agents or otherwise. We are not suggesting this is an easy option and certainly it is not right for everyone but for those with energy and initiative, selling your own home can bring rich rewards.